The Women’s Arch Plus Orthotic Insert helps relieve existing conditions and helps to prevent development of future Ortho/Footcare problems. It is a supportive cushioned insole and is designed for maximum arch support to allow shock absorption from heel-to- toe. It uses an anti –friction fabric that helps wicks away moisture and reduces heat to prevent blisters. These footbeds come in 2 size widths (N-M) and (W - WW). (W - WW) fits either a Wide or a Double Wide shoe. NOTE: Recommended for SAS women's styles: Alpine, Free Time , Liberty, Me Too, Patriot, TMV, Tour, and Tour Mesh. Anti-friction Fabric wicks away moisture, reducing heat to prevent blisters. 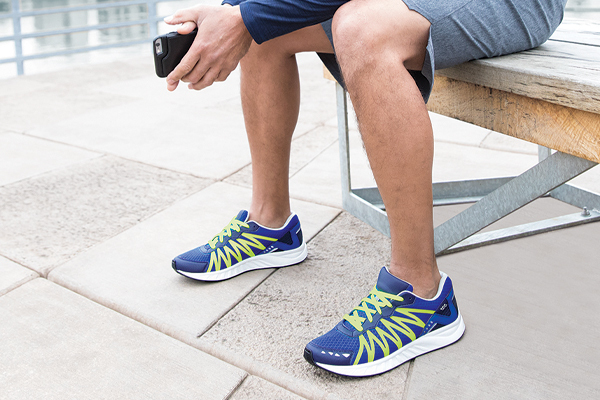 Anti-microbial, anti-odor polyurethane mid-layer keeps feet dry all day. Built-in semi-rigid graphite inserts deliver firm yet flexible support. Vy-Gel performance grade elastomer pads provide shock absorption across the forefoot and heel strike to protect against fasciitis. Polyurethane base layer provides cushioning that will never flatten out over time or lose its comfort. Airflow cover on this helps in reducing friction that can cause heat buildup underfoot. The heel is cupped for a cradle-fit. Our SAS Cool Step Footbed gives the wearer a much 'cooler', more stable, comfortable walking experience.